This class is designed for people who want to learn basic jewelry making skills. 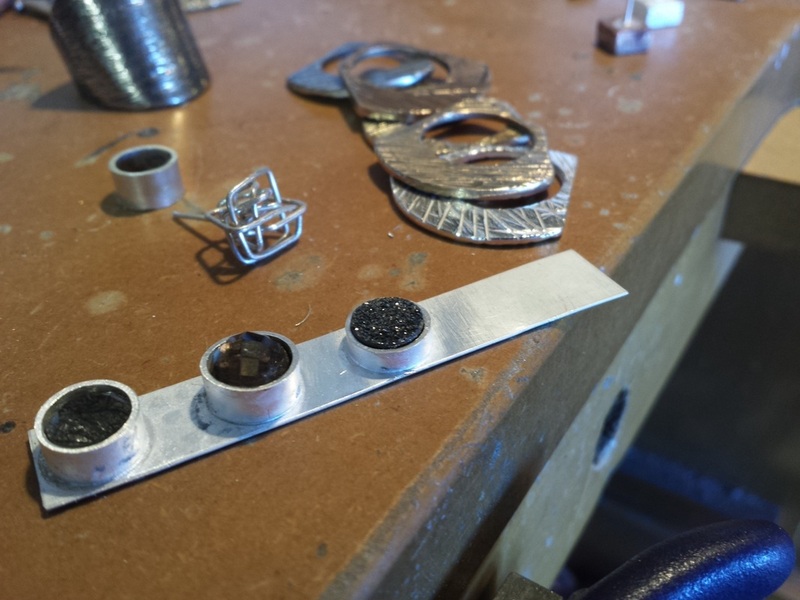 Measuring, filing, sawing, piercing, soldering, bezel fabrication, bezel setting, and bezel setting, as well as some finishing techniques will be covered in four evening sessions. Tools and equipment including burnishers, saw frames, pliers, and mandrels will be available in the studio and a materials kit is required and can be purchased on the first day of class. Students will leave the final class with a ring and a pendant OR a pair of earrings. Only four seats are available this hands-on workshop, ensuring plenty of individual instruction. Maximum six (4) students. All participants will be required to sign a waiver.